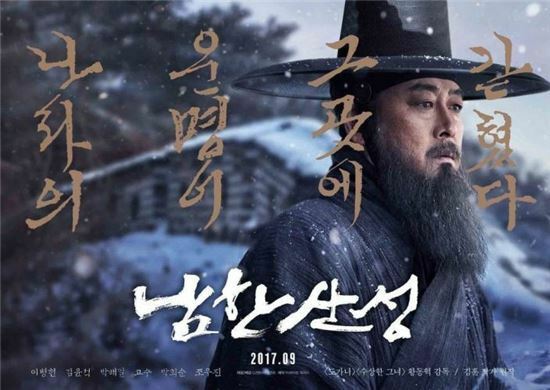 "The Fortress," a South Korean film depicting King Injo of the Joseon Dynasty taking refuge from a Chinese invasion, has become the fastest movie released during the Chuseok holiday to surpass 1 million in attendance, its distributor said Thursday. CJ Entertainment said "The Fortress" got over the 1 million mark with 552,747 viewers Wednesday. The film premiered Tuesday, with 444,527 watching it on the opening day. It puts "The Fortress" one day ahead of the pace set by "The Face Reader," which then went on to draw 9.13 million viewers in 2013. "Gwanghae: the Man Who Became the King" remains the most successful film to be released during the Chuseok holiday, attracting 12.31 million viewers following its 2012 release. That film reached 1 million in four days.